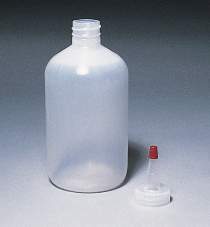 Soft plastic, low density polyethylene glue bottles for dispensing glue or holding water for mixing powdered glues. Holds 16 ounces. Spout and tip included.